Some of the additional entries for the Spa 24 Hours at the end of July are becoming known – and here’s another rally driver joining the sportscar / GT fray. 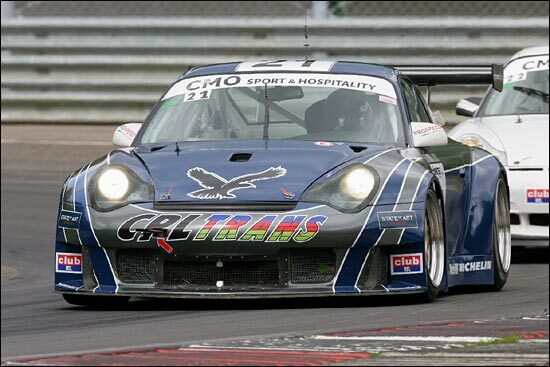 The Belgian ProSpeed Competition team has secured the services of World Rally Championship man Francois Duval, to drive one of the team’s two entries, a Porsche 996 Supercup car. He’ll share with Pascal Nelissen Grade, Christian Kelders and the man who masterminded the deal for Duval to join them, Christophe Kerkhove. Duval was a factory Citroen driver last year, but is undertaking a limited rally programme in 2006, with a privateer Skoda Fabia. ProSpeed will have its two cars present at Zolder tomorrow (June 29), for the next round of the Belcar series – and again at Oschersleben in July. “It will not be an easy task to cope with everything, but let’s just keep our fingers crossed that nothing untoward happens at either venue,” continues Rudy Penders. “Should we have some major problems in practice or qualifying at the Zolder race, we’ll be in trouble for the race proper, as everything is run in just one day.